Four friends, all with novel names, have lost digital recordings of their six-month biking trip from Hong Kong to Paris. Disappointed adult outlets with DVDs of "Hotkiss, Prince and Friends" are asked to forward their unsold merchandise to the hapless yet happy twentysomethings from Hong Kong, who desperately wish to have a record of their adventures. Four cyclists who rode for 16,000 kilometers from Hong Kong to Paris have been left with a gap in their lives after they lost photographs and videos covering six months on the road. Thieves struck in Germany as the four neared the final leg of their 7-month trip. The pictorial record was to have formed the backbone of a book about their great ride. It was a chilly morning near the end of November when they awoke in a tent near Germany's Black Forest and two of the cyclists discovered bags missing along with the pictures on an external hard drive. "Heartbreaking," said Tim Yu Tin-yu, a 27-year-old quantity surveyor. "We lost all of the photos since our trip started." Yu and construction supervisor Hotkiss Law Yip-man, 25, City University graduate of policy studies Taylor Chung Tai-loi, 24, and adventure coach Prince Wong Tze-kin, 22, were home yesterday after their "Bike for Another Choice" adventure. They now face the prospect of a book on their journey that will have to appeal largely on their memories and words. Still, said Law, "it's good to be home. 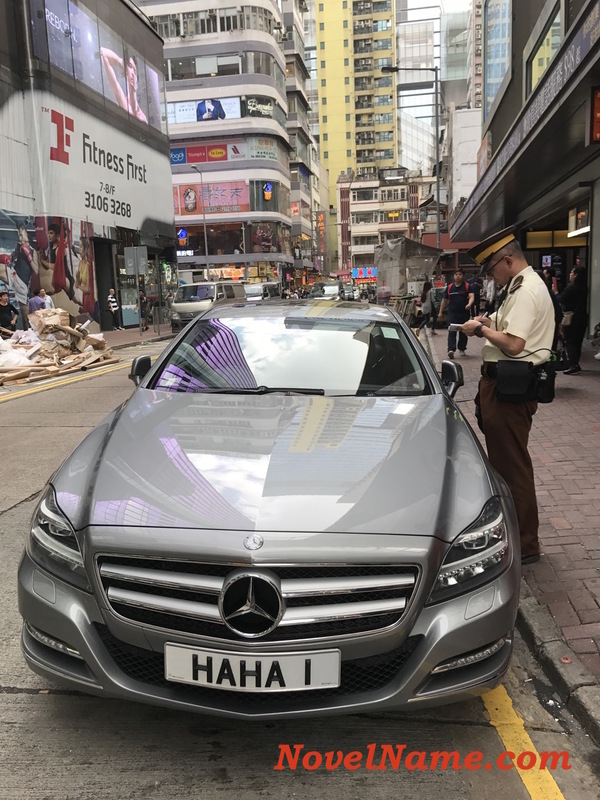 I realize how much I love Hong Kong." They reached Paris on December 15 and then took in more European sights as the usual tourists, meaning no bikes. Law came up with the idea of the long ride after being inspired by a Taiwanese computer engineer, Deray Hsueh, who cycled from Beijing to Paris in 2007 for environmental protection. It took seven months of route planning, hard training and readying gear before they set off on May 1 last year on the opening leg through Guangdong. Each of them outlaid more than HK$50,000, and between them there was HK$50,000 from sponsors. Their route took them across the mainland and into Tibet then on to Nepal, India and Pakistan. Lacking visas for Iran they flew to Turkey and then into Europe. The Sichuan-Tibet Highway was tough with mountain roads up to 5,000 meters. "So was India in August heat of 40 degrees Celsius on dusty roads," Wong said. Yu's focus is now on the book, Chung plans more studies with the idea of teaching, and Law and Wong dream of opening a hostel on the Sichuan-Tibet Highway. The article (see below) about tourists in China shooting live chickens with arrows reveals how atrocious and diverse people's values are. China never ceases to amaze me about many inhumane practices that occur, nor how many people there tolerate or accept such practices that show a blatant lack of empathy and disrespect for life. This also reminded me about a recent article in The Guardian about Jared Diamond, seemingly a proponent of the Noble Savage, who believes modern society has a lot to learn from primitive cultures. Diamond's story about widow-strangling was particularly memorable. Just because a culture exists (and hence, the existence of it's own particular cultural values), does not mean we must respect them, their values and their traditions. One should have better reasons to live their lives and value others than simply using a poor reason such as "tradition". Take the recent case of sharks fin soup (see Playing the Race Card). The traditionalists (and people in the business) will always resort to saying "Respect our culture; respect our tradition" as if this was a rational method of argument. An Ice festival in Jilin has invited tourists to shoot at live chickens. Photo: Screenshot from Weibo. Organisers of an ice festival in China’s northern Jilin province thought they were being clever by inviting tourists to use live chicken as shooting targets. Instead, it has sparked controversy and anger when people across the country learned about the cruel game. 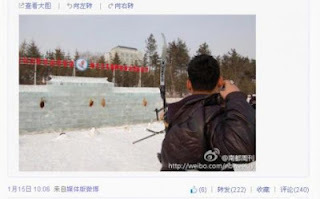 The photos, published by major newspapers including the People’s Daily, showed people shooting arrows at live chicken at an ice park. In one photo, a chicken is seen struggling after being shot with two arrows. Festival staff said they were only following tradition in using chicken as prey, but many have found it too unpleasant to watch. After China’s influential Southern Metropolis Daily posted these photos on their official Weibo on Tuesday, netizens responded with different opinions. “If this is cruel, what about the chicken humans kill and eat everyday,” said one Weibo user. “How is this killing different,” he asked. Others were more sympathetic . Note: meaning is "unlucky" from "malheure". It is also the name of "M" played by actor Ralph Fiennes who appeared in Skyfall. 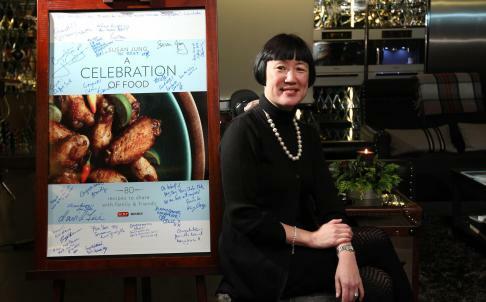 Local food critic Susan Jung has landed herself in a spot of bother in reviewing a Hong Kong restaurant that offers sharks fin soup. What's in a name? A lot, as I found out recently when I reviewed the new Fu Sing Shark Fin Seafood Restaurant in Central. It was a rather tepid review - I liked some things I ordered, but didn't find this branch as good as the original in Wan Chai. But it wasn't my criticism of the too-lean roast pork belly or the too-salty beef brisket that attracted name calling and irate comments from readers when excerpts were published on the South China Morning Post's Out and About Facebook page - it was the name of the restaurant. The phrase, "shark fin", was like a red flag to a bull. It didn't matter that I hadn't ordered any shark fin; the fact that I was writing about a restaurant that served it was enough. The comments on Facebook were quite interesting, if only because they show how people can sound unreasonable when they're angry about something; they'd be more persuasive if they kept their emotions in check and tried to convince, rather than bully. The thing is, I actually agree with them, to a point. I think finning (removing the fins from the live shark, then throwing it back into the ocean to die) is abhorrent. I don't order shark fin - when I review a restaurant, or when I'm dining out with friends. I never write about shark's fin promotions, when I get e-mails about places serving it on buffets or as special dishes, I delete them. It's obvious that many of those who responded didn't bother to read the review, because some of them accused me of eating shark's fin soup. The most extreme posters said I should boycott all restaurants that serve shark's fin - which would mean avoiding most mid-range to expensive Chinese restaurants (there are some hotel groups - such as The Peninsula and Shangri-La - that don't serve shark fin). The first Fu Sing opened in about 2005. In this day and age, most of us would agree that the restaurant has a misguided name. While shark fin is still considered by many to be a status symbol, there is a growing movement to avoid eating it. But just because a restaurant doesn't have shark fin in its name doesn't mean it isn't serving it. And just because a restaurant that opened seven years ago has shark fin in its name doesn't make it any guiltier than other places that also have it on their menus. It just makes it an easier, more convenient target. There are thousands of good restaurants out there - but Ms Jung opted to review a new branch of the SAME shark's fin restaurant she visited before in Wanchai. Ms Jung, you miss the point entirely. It has nothing to do with "What's In A Name?" and everything to do with the fact you gave this establishment your patronage, despite professing your abhorrence at the practice of finning. Having read your rebuttal I can't even discern a sense of remorse; that maybe by inadvertently promoting a shark fin restaurant you had made a mistake and owed an apology to a great number of your paper's readership. Instead you have chosen to be both defensive ("I don't order shark fin") and aggressive ("It's obvious that many of those who responded didn't bother to read the review") which indicates you stand by your decision. As for your ridiculous statement "I never write about shark's fin promotions, when I get e-mails about places serving it on buffets or as special dishes, I delete them" then what, pray tell, were you thinking when you opted to do a review of 'The Fu Sing Shark Fin Seafood Restaurant'? Did you conveniently forget all those e-mails you've allegedly deleted? There's no place for double standards in journalism. As the other respondent has succinctly put it, you are being disingenuous at best. I think you are being disingenuous at best. Quite clearly most people read your review and noted that you did not mention ordering or eating sharks fin. That was not the point of the criticism. You reviewed, and promoted a restaurant that serves and indeed builds it's reputation on being a sharks fin restaurant - thus continuing the barbaric practice. There are plenty of restaurants to review and those that do use sharks fin may be encouraged to stop serving it, or at least minimise its use if they were not reviewed and promoted. 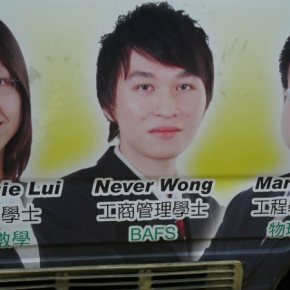 At the very least they might stop so proudly describing themselves as servers of sharks fin. Moses Lai Ka-ming, Hong Kong participant of the Reverse Consumption Movement (23 January 2011). I guess Hersey missed the chance to have chosen "Jose" ... since a novel made-up name appears much more preferable. How despicable, outrageous and immoral for Shark Fin traders to claim they are being victimized by an "anti-Chinese conspiracy". Since they are unethical anyway and are simply exploiting an unsustainable and irresponsible business, it is perhaps no surprise that they have played the race card. For example, veteran trader Chan Pak-luk, owner of the Wo Loong Ho Sharksfin Company, said it was unfair for concern groups to blame China alone for the dwindling shark population. "Westerners have shark meat for meals regularly. We just consume different parts of the fish," he said. How disingenuous. Here's what Alex Hofford, of the Hong Kong Shark Foundation said: "People who consume shark fin soup are greedy [because they ignore the animal rights issue]." Shark fin traders in Hong Kong blasted an "anti-Chinese conspiracy" by environmentalists, whose constant bombardment of criticism they say is killing their business. "The whole industry has recorded a [sales] decrease of 50 per cent on last year," Shark Fin Trade Merchants Association chairman Ho Siu-chai said. "[The decline] is mainly due to the omnipresent advocacy by green groups." Ho said his industry was being targeted by an anti-Chinese conspiracy led by "Western" environmental groups. "They always blame us for cutting off fins and dumping carcasses at sea. This is not true and is distorted," he said. The strong hostility to the trade has seen about 30 per cent of shark fin shops close down in recent years, Ho estimated, adding that some traders had been forced to sell other dried seafood, such as abalone and scallops. Ho's shop Siu Fung Shark Marine Products is at the western end of Des Voeux Road in Sai Ying Pun where rows of musty shops sell a vast array of dried food, from mushrooms to seahorses. It is also a hub for the global shark fin trade, taking about half the world's total fin harvest, says environmental group WWF. Veteran trader Kwong Hung-kwan, owner of Shark's Fin City in Sheung Wan, said Hong Kong had become an entrepot for the product. "Nowadays, Hongkongers consume about 10 per cent of our imports," he said. "The rest is shipped to China, the US, Canada and Malaysia for Chinese there to consume." Census and Statistics Department figures show that shark fin imports have reduced from 10,292 tonnes in 2011 to 3,087 tonnes last year, up to November. Fins now mainly come from the United Arab Emirates, Singapore, Indonesia and Taiwan. "It's getting more difficult to do business in the city because of the conservationists," Kwong said. "That's why traders now import less." Environmentalists have campaigned against the trade in fins - an expensive staple at weddings and banquets - saying the harvesting methods are cruel and that shark populations have declined dramatically as a result. The International Union for Conservation of Nature says a third of all shark species are threatened with extinction. Correction: In the eighth paragraph, the numbers of 2011 and 2012 shark fin imports should be "10,292 tonnes" and "3,087 tonnes" respectively, instead of "10.3 tonnes" and "3.1 tonnes," as stated in an earlier version.